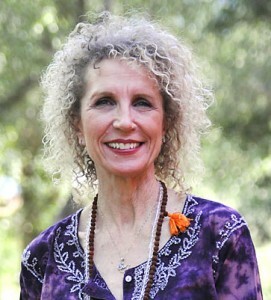 Marydale, YTRx-500C, POLY-E-RYT500, RMT, is founder and director of Param Yoga Healing Arts Center. She is a devotee of Paramahamsa Prajnanananda through the lineage of Paramahamsa Hariharananda, Paramahansa Yogananda, and Kriya Yoga International Masters. A practicing yogi since 1970, Marydale holds Hatha Yoga Certification through The Vedantic Center under the auspices of the late Swamini Turiyasangitananda and Purusha Hickson. Marydale is a certified Yoga Therapist through Loyola Marymount University and a Prime of Life Yoga® teacher. Her personal practice and teaching skills are all rooted in the Krishnamacharya lineage, giving her classes a strong, systematic structure and flow anchored in the breath. Marydale’s goal at Param Yoga is for the studio to be a hive from which individuals pollinate the world at large with the energies of joy and well-being through love, service, meditation, and realization. Yogacharya Richard Peterson was initiated into Kriya Yoga by Paramahamsa Hariharananda in 1979 in Edmonton, Alberta, Canada. He holds a Master of Arts degree in Education and teaches music and English in the Los Angeles Unified School District. 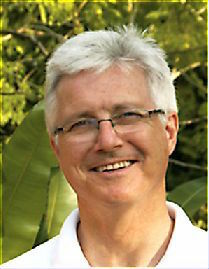 He was authorized to teach Kriya Yoga in May 2007. 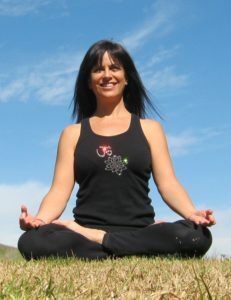 Stephanie has been practicing yoga for two decades and received her certification from the Aura Wellness Center. She has taught at numerous studios and gyms and has practiced in places such as India, Thailand, and Costa Rica. Stephanie creates original sequences of asanas that flow together in a challenging—but safe—way, guiding you through a yogic journey that is sure to leave you feeling sublime. Julie commits daily to her practice and to guiding others toward the sense of wholeness and wellness inherent in us all. 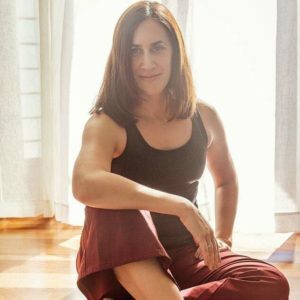 A certified yoga and restorative yoga instructor, and a member of the International Association of Yoga Therapists with a Yoga Therapy credential from Loyola Marymount University’s YTRx program, Julie shares the teachings of yoga with participants of Dr. Ornish’s transformative and empowering program at UCLA Health. 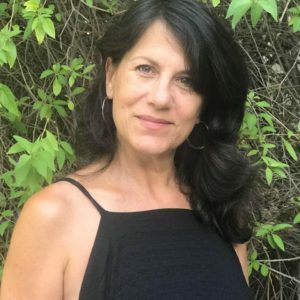 She also teaches yoga to cancer survivors at UCLA Medical Center Olive View, and trauma-informed yoga to survivors of domestic violence and sexual assault for the non-profit organization Exhale to Inhale. Julie serves on the board of the non-profit The Heartstringz Foundation, which provides musical companionship, ukuleles, and musical instruction to hospitalized children and senior citizens. Se habla español..
Cindy has been teaching yoga for 15 years. After completing her 200-hour training, Cindy felt called to explore the Warriors Yoga Teacher Training program and completed that training in 2015. Her classes are multi-level flow and alignment-based with an emphasis on healing, self-care, and restoration. Students of all levels are always encouraged to learn about their amazing bodies, free from judgement, competition, and expectation. Cindy is also a certified fitness trainer and group fitness teacher. She loves being able to inspire yogis and people of all ages to live healthier, more fulfilling lives. Kirsten is our office manager and Girl Friday. 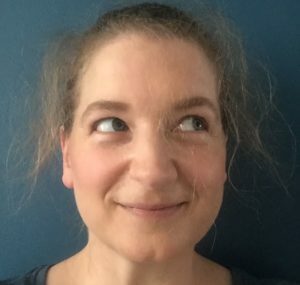 She has worn many hats over the years, including waitress, retail manager, substitute teacher, executive assistant, personal assistant, and blogger. She is a certified massage technician and an aspiring yogi. When not making things run smoothly at Param Yoga, she enjoys playing piano and walking her dog. 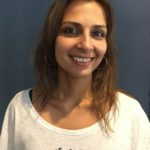 Sabrina Azam Paine helps out at the front desk and is an integral part of the Param Yoga community. As a Reiki Master in the True Usui Lineage, she leads Reiki demos, shares, and workshops through The Reiki Center of Los Angeles. She is also a certified hypnotherapist and minister, having received ordination from Universal Life Church Ministries. Living in numerous countries growing up, Sabrina is multilingual and loves to share her healing gifts with a wide variety of people.